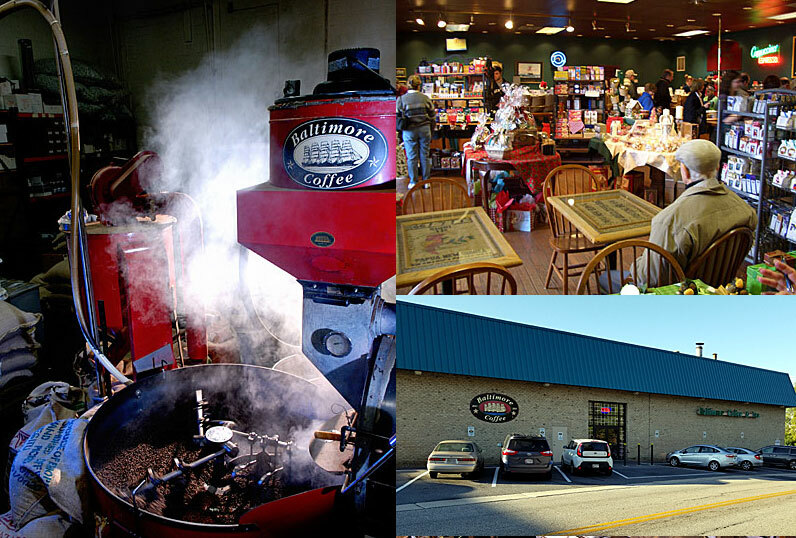 Our Timonium Store & Mid-Atlantic Roasting Plant are located at 9 West Aylesbury Road. In addition to our 120 varieties of freshly roasted coffee, and unmatched varieties of fine tea, we serve all of your favorite drinks, as well as breakfast, lunch, and delicious pastries. Our famous Muffins are now freshly baked on premises daily. We also carry fine gift items, as well as gourmet foods, & coffee and tea accessories. We ALWAYS have 8 varieties of coffee (2 Regular, 2 Flavored, 2 Decaffeinated, & 2 Decaf. Flavored) brewed, and ready to serve!